Together in coordination with Cal North and Affinity Sports, we have brought to the market, LeagueCMS, a custom suite of State, League and Club tools built specifically for WordPress. Together we are breaking ground in usability and technology within the league sports industry. You now have the tools and the opportunity to have a website that is not only up to date, but truly responsive. There is a lot to come as we have only scratched the surface of what is possible. 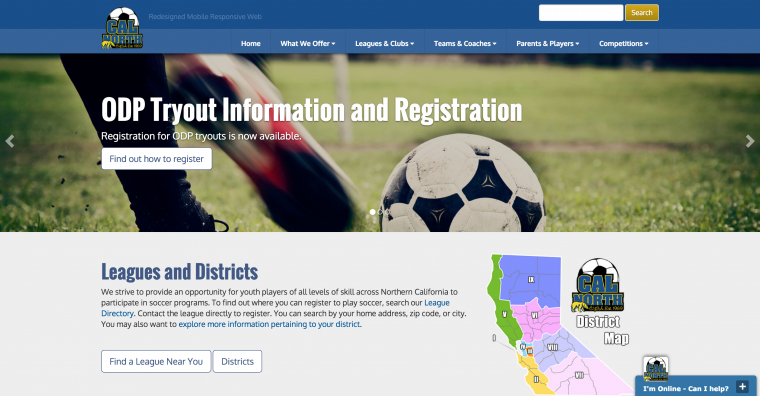 Events, Contacts, Documents and Leagues can be dynamically linked to Districts. This aids in the ease of managing the content for an admin.